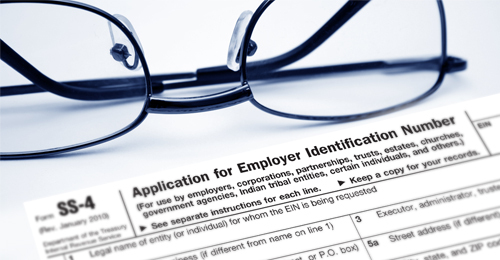 An Employer Identification Number (EIN) serves a similar function to a Social Security Number. The Internal Revenue Service (IRS) requires its use on all tax filing during the life of a business. This number is unique and can only be linked to one business. Many Nonprofits and trusts must also apply for an EIN. Companies that go bankrupt or transfers ownership must get a new EIN if they want to continue operations. One is often required to open a business checking account and establish accounts with certain vendors. While a company may go through the process of securing its own EIN, many entrepreneurs prefer the ease and efficiency of leaving this to Inc Plan (USA). This is especially true for overseas entrepreneurs, who often do not have a social security number. This can making getting an EIN a longer and more difficult process. Inc. Plan (USA) will expedite this and take the bother out of your hands, ensuring that it is done quickly and correctly.